Good news! Thanks to Dragan 9A6W, the process of developing support for the Kenwood TS-590S is on it’s way. A new feature will be added in the new GBCAT v1.2. 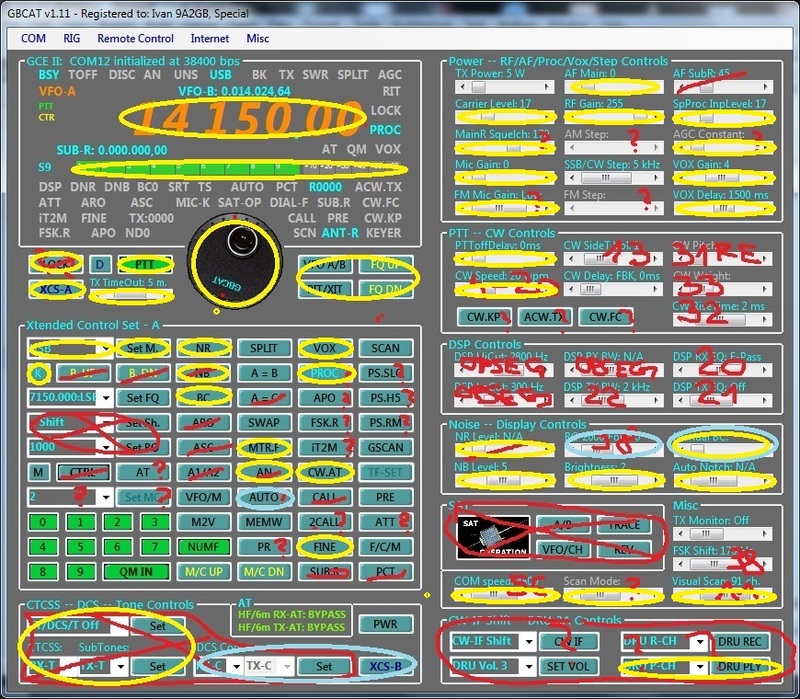 In the attached picture (messy work), with yellow color marked are so far realized CAT commands for the TS-590S. Marked red are the CAT commands which are different from the Kenwood TS-2000, which is used as the base for the development of support for the TS-590S. GBCAT v1.2 is expected to be ready for download at summer of 2014.